“The latest was in the wee hours of Thursday morning on Roosevelt Boulevard. According to a Jacksonville Sheriff’s Office police report, the unknown suspects made their way into the Roosevelt Boulevard store by throwing concrete into the lower part of the glass door. The Roosevelt Boulevard store was not the only Jacksonville ABC liquor store that was burglarized. An ABC store on Cesery Boulevard was burglarized on April 13. On April 19, the San Jose Bouleard store was targeted. “Security cameras captured the burglaries in progress with three and sometimes four men wearing masks breaking the glass front door and making a dash for the counter. That’s where JSO Sergent Mike Shell says expensive spirits were grabbed and carted off.” There is video evidence from a surveillance camera. The people that committed the burglaries did cover their faces. 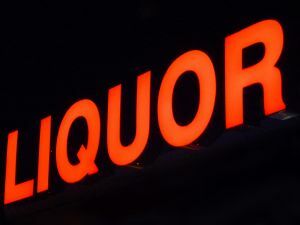 Three ABC Liquor Stores burglarized in Jacksonville. Burglary detectives from the Jacksonville Sheriff’s Office will likely question any suspects before they make an arrest. It is important to know that you do not have to talk to the police. If you are in custody, you have the right to have a Jacksonville criminal lawyer with you. You just have to tell the police officer that you want to call your Jacksonville criminal attorney. You do not have to answer any questions. They may tell you that they have enough evidence to arrest you. If that is the case, why do they need you to tell them anything? They may tell you that you are only hurting yourself. How would it hurt you to talk to a Jacksonville lawyer before continuing any kind of questioning? If you have been arrested or believe that you may be arrested, you may contact a Jacksonville criminal lawyer at 20 Miles Law. Call 904-564-2525 or send an email by clicking on Find a Lawyer.